A perfect mix of small group touring, private touring and city tours. Complete with 7 nights accommodations. The perfect combination of small group touring and private touring. Visits to: Rome, Florence, the Chianti Region, and Venice. Arrival transfer to Rome hotel. Three (3) nights in Rome, two (2) nights in Florence and two (2) nights in Venice. Small Group Tour including The Vatican, entrance fee included (transfer to/from tour departure point not included). “Tuscany Countryside” driver guided tour with en route stop in Siena & Monteriggioni. Pick up in Rome and drop-off in Florence. One wine tasting in Chianti. Small Group tour in Florence. High-speed train from Florence to Venice, 1st class. 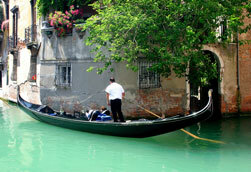 Transfer From Venice railway station to Hotel in Venice. Small Group tour of Venice. Arrival departure is included, but return transfer is optional and not included in package price, but can be added during the booking process. City Taxes at hotels is not included and would be paid directly at hotels. Single rooms may be booked (at a supplement), however, single must travel with double or triple. Single room cannot be booked on it's own. Price noted is based on one double room. When additional rooms are booked, the price will decrease! Morning arrival in Rome. Private transfer included in your package. Late afternoon meeting with your local assitance for a welcome briefing. Rome is then yours to enjoy independently. Overnight in Rome. In the morning, meet your guide at the Vatican (hotel pick-up is not available) and join a small group to visit Vatican Museum and Sistine Chapel. Our expert guide will be your docent as you pass through the vast Vatican collection. This Vatican tour will focus on the must-see and famous masterpieces of the Vatican, including the Sistine Chapel, the Raphael Rooms, Michelangelo’s Dome, Pinecone Courtyard, St. Peter’s Basilica, St. Peter’s Square . After visiting the Sistine Chapel you’ll enter what many consider a wonder of the world and the most magnificent church on earth; St Peter's Basilica, before ending in outside in the superb square designed by Bernini. Overnight in Rome . 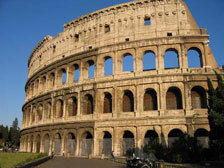 Today is yours free to independently explore the eternal city of Rome. Additional touring can be arranged by Celtic Tours at time of booking. Otherwise, enjoy your free day today. Overnight in Rome. Meet your driver guide at your hotel and transfer to Florence. You’ll stop in Siena and Monteriggioni for an independent visit these enchanting villages. The drive itself is magnificent: enjoy the view of Chianti hills covered by vineyards and olives trees, cypresses and castles that dot the countryside. Siena is probably Italy's loveliest medieval city. Its heart is the central piazza known as Il Campo, known worldwide for the famous Palio, a horse race run around the piazza twice every summer, recently made famous in the James Bond movie, The Quantum of Solace. During our drive to Florence, we’ll stop at a wonderful Tuscan Villa and vineyard for a cellar visit followed by lunch and wine tasting. This will be a great day where you’ll get to experience the best aspects of this wonderful region! 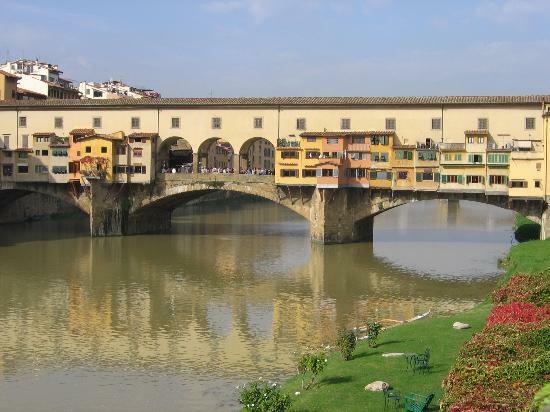 You’ll arrive late afternoon in Florence and overnight in the heart of the town. Time permitting, we’ll take a short stop at the charming and tiny castle town of Monteriggioni. Overnight in Florence. (Note in some cases, transfer from Rome to Florence may be by train. On arrival in Florence, tour will commence as noted). Make your way independently to the train station today. Here you will take a high speed train to Venice, with a reserved 1st class seat. Your train will cover the distance between the two cities in just 1h15m while you will enjoy the view of Appennini Mountains and the Po Valley crossed by the Homonymous River. Upon arrival, meet your assistant and transfer to your hotel located in the heart of the city. Overnight in Venice. Day 08: Venice - U.S. Check out of your hotel after breakfast, where tour inclusions end. Transfers part of package if optionally purchased at time of booking. Otherwise, make your way independently to the airport or rail station. New Touring Options for you! This package is based on a minimum of two (2) persons traveling based on sharing one double room. This tour can be booked online or via our call center. A max of 6 passengers can be booked online. If you have more than 6 passengers, you must contact reservations in our call center.